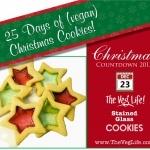 A traditional Christmas cookie, this one utilizes vegan hard candies to melt in the center or a vegan Sugar cookie. 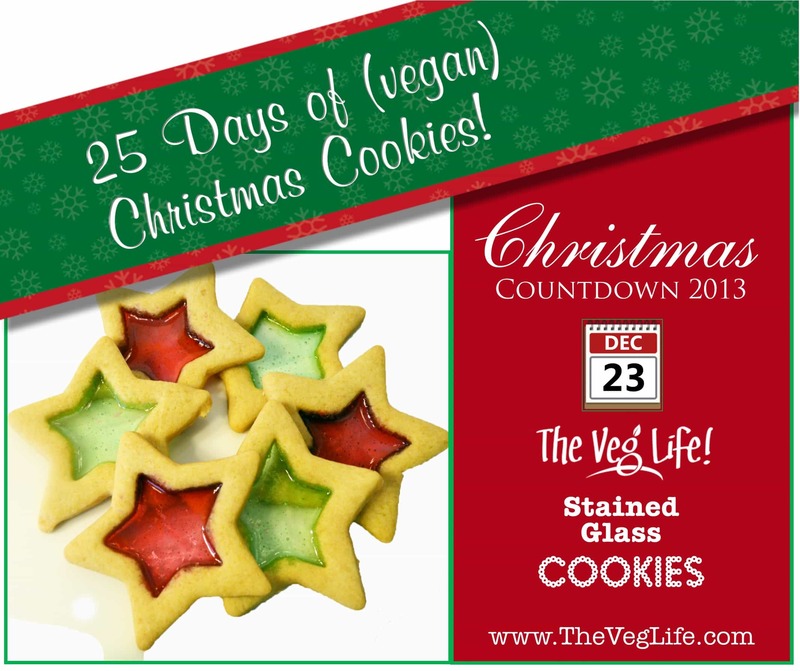 In an electric mixer, combine butter, sugar honey (or agave), tofu and vanilla on medium speed until well blended. Add flour, baking powder, baking soda and salt. Mix well until incorporated. Cover and refrigerate dough for 2 hours or until firm. Preheat oven to 350 degrees. 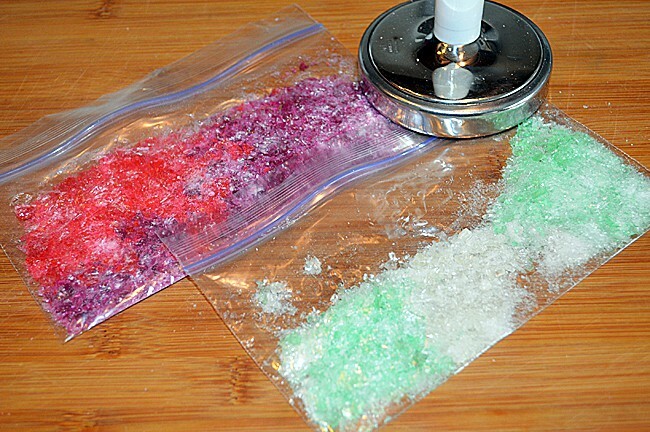 Prep a cookie sheet lined with foil. Roll dough on a lightly floured surface to a 1/4" thickness. 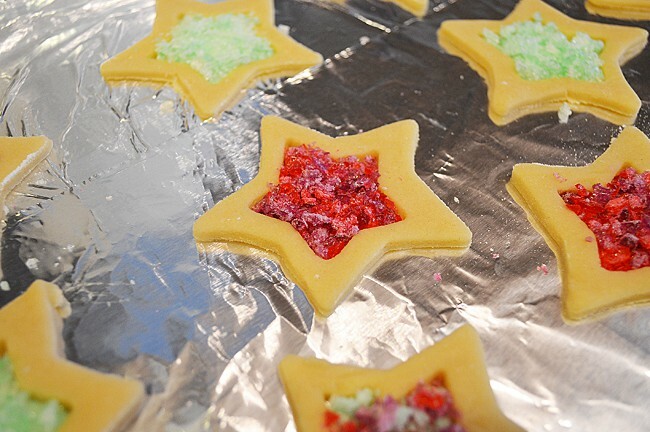 Cut into desired shapes with a 2-1/2" - 3" floured cutter. Using a smaller version of the same cutter, cut out the center of the larger cookie being sure to leave a good border of dough. 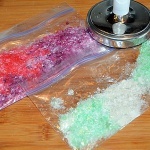 Crush each color of candy separately in a zip lock bag with a pounder or rolling pin. You'll want these pretty finely crushed. 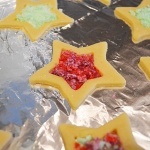 Spoon the crushed candy as neatly as possible into the cutout centers. 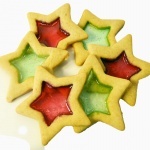 Be sure to brush away an stray sugar crystals as they will show and melt onto the cookie when it bakes. 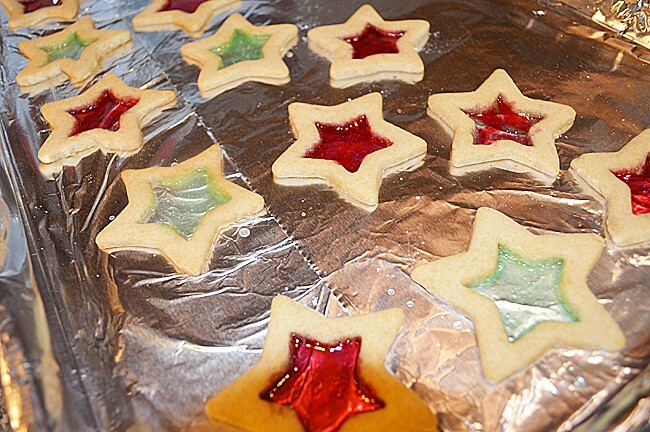 Bake on foil lined cookie sheets for 6-8 minutes or until candy is melted and cookie is lightly golden. 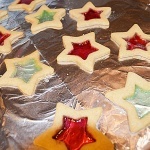 Cool cookies completely before removing from foil. To make cookies into ornaments, use a straw to poke a hole at the top which will remain after baking.